When garlic starts to sprout, the little green shoots are too bitter to cook with. Rather than throwing away sprouted cloves, you can put them in a glass with a little water and grow garlic sprouts. You already know that growing your food is cheaper than purchasing it at the grocery store, but did you know you can save even more money by regrowing several varieties of vegetables and herbs using kitchen scraps and clippings? Below are a few foods you can grow again and again with as little as a cup of water, some clippings and sunshine. Have you ever had a bulb of garlic start sprouting before you could put it to use? That's a sign of regrowth. Place the sprouted cloves in a glass, add enough water to cover the bulb, then sit it on your windowsill. In a few days it will produce shoots. If the water gets cloudy, change it. 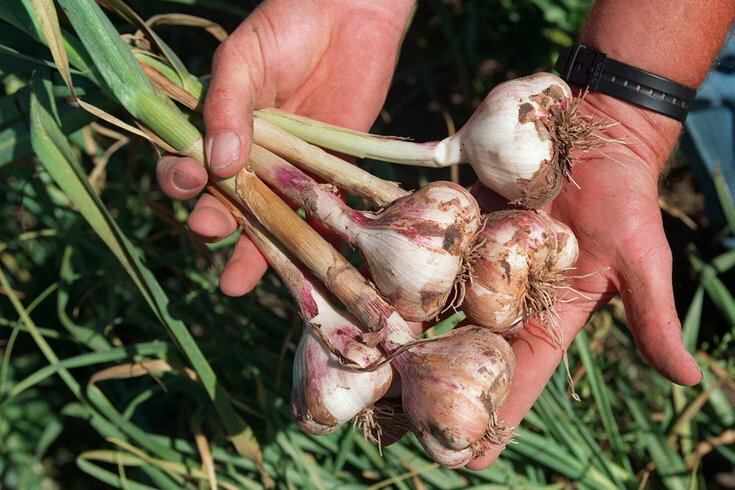 Garlic cloves are mild in flavor and can be sprinkled on salads or used as a flavorful garnish. You can use the cloves as is or transplant them in soil to grow a bulb. Take a few basil clippings with 4-inch stems and place them in a glass of water in a sunny spot. When the roots are about 2 inches long, you can transplant them in pots to grow a full basil plant. Like basil, cilantro can grow roots if the stems are placed in water. Once the roots are long enough, just plant them in a pot. In a few weeks, new sprigs will be starting, and in a few months, you'll have a full plant. You can order your own hydroponic fish tank, like the one shown above, here. Click here for a description of 17 more edible plants you can grow from kitchen scraps.